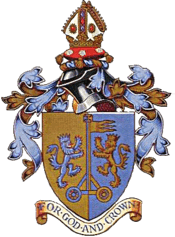 Town were on the road to Teesside on Saturday to play Billingham Town in The Northern League. They travelled as league leaders and had an opportunity to extend their lead at the top of the table as games involving nearest challengers Blyth and Heaton Stannington had been postponed. Tom Dawson, Stephen Cheeseman, Karl Hewitt, Dale Elgie, Dan Jones, Jack Proctor, Chris Dickinson, Andrew Shepherd, Nicky Martin, Aaron Ramsbottom, Shaun Hudson. Subs: Stephen Jackson, Liam Jarvie, Richard Farrel. The tempo at the start was nice and bright with Town playing with three at the back. A long ball from Karl Hewitt found Aaron Ramsbottom in the box but defender was just too strong for him. A succession of corners for Billingham saw a corner from the left giving Stephen Oakley a heading opportunity which he took to give his team the lead in the 6th minute. Stephen Cheeseman was alert to intercept a pass across his own box and then Shaun Hudson raced down the left and centred but it went out for a goal kick. From another corner Dale Elgie got in a powerful header. Chris Dickinson had a chance but his header lacked power. Dan Jones got in a powerful clearance. Shaun Hudson scampered down the line but the defence doubled up on him to dispossess him. Dale Elgie found Stephen Cheeseman on the right and his measured cross found Aaron Ramsbottom who crowded out but won a corner. At the Town end Tom Dawson missed a high ball which presented shooting chance to the full back which found the side netting. Shaun Hudson was fouled in full flight but the referee gave nothing. Next to have a go was Chris Dickinson who shot from distance but his shot was easily saved by the keeper. An early ball from Chris Dickinson found Aaron Ramsbottom in space but his trickery was read by the defender. Nicky Martin tried a shot from distance which was saved by the keeper. Andrew Shepherd was cautioned. Stephen Cheeseman found Chris Dickinson on the right and his measured cross found the head of Nicky Martin who looked to have scored only for a good save by the keeper. Sustained pressure from Town saw Dan Jones have a header but he was offside. Chris Dickinson tried to find Stephen Cheeseman with a cross field ball but it was overhit and went out for a goal kick. Shaun Hudson dribbled down the left with defenders in his wake but a defender forced a throw in. A quick throw out from Tom Dawson found Shaun Hudson in space but his ball to Chris Dickinson but his pass was intercepted. No change to the team was mads as the teams changed ends. Billingham were delaying taking throw ins and corners. Dan Jones was caught late with a challenge. Town were on the defensive but coping quite well but lacking punch up top. Stephen Cheeseman was cautioned. Liam Jarvie replaced Andrew Shepherd. In the 57th minute a ball into the box found Aaron Ramsbottom who swivelled and drew the keeper before shooting into the net to restore parity in the scores. Nicky Martin was up against a man mountain and was harshly adjudged to have fouled him as they both jumped for a ball. In the 62nd minute with the best move of the game to date Stephen Cheeseman combined with Aaron Ramsbottom who set up a shooting chance for Nicky Martin who shot past the keeper to give Town the lead and then saluted the supporters behind the goal. Karl Hewitt and Shaun Hudson worked the line on the left as they searched for another goal. Stephen Cheeseman tried a fierce drive after being set up by Nicky Martin but it was charged down. A free kick for Town was taken by Chris Dickinson which grazed the cross bar with the keeper nowhere. A shot from Billingham came off a defender and could have gone anywhere but went out for a corner. A quick break out for Town saw Nicky Martin and Shaun Hudson combine but the wingers shot went just wide. Liam Jarvie sent a cross to Aaron Ramsbottom but a defender nipped in to clear. Shaun Hudson covered back and cleared into touch to diffuse an attack.In the 80th minute a long ball accross the area fell to the feet of Liam Jarvie who blasted a ball into the goal past a helpless keeper to give Town a 3-1 lead. Chris Dickinson had another free kick from about 35 yards which grazed the cross bar again. Aaron Ramsbottom tried a shot from distance which went just wide. Nicky Martin brilliantly chased a ball and tried to play in Shaun Hudson put the two players on different wave lengths and neither anticipated the final ball.